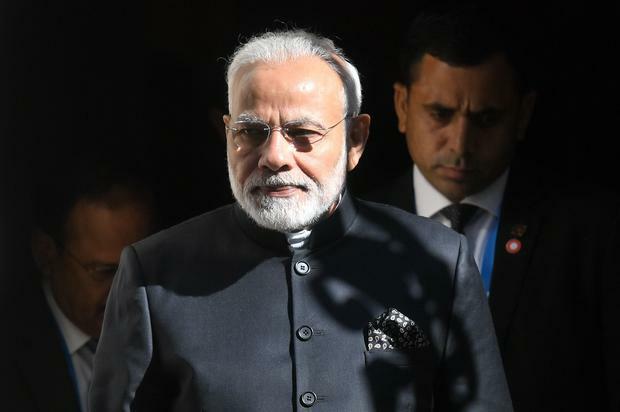 Indians thronged to vote yesterday at the start of a mammoth general election, with Prime Minister Narendra Modi seeking a second term after campaigning on a plank of national security following hostilities with neighbouring Pakistan. People trekked, rode bicycles and drove tractors to polling stations in the world's biggest democratic exercise, with nearly 900 million eligible to vote during seven phases over 39 days. Vote-counting is set for May 23. Boosted by a surge in nationalist fervour after February's clashes with Pakistan, Mr Modi's Hindu nationalist Bharatiya Janata Party (BJP) held the advantage going into the election.